In 1973, Burt Todd's Bhutan Stamp Agency organization continued to find innovative materials and processes that could be used to continue Bhutan's philatelic legacy as an unusual stamp issuer. 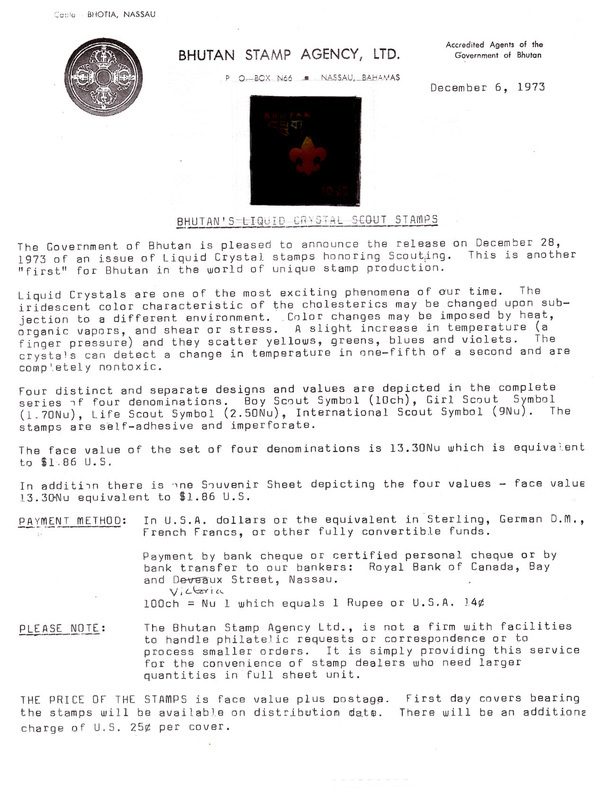 With this issue, the firm attempted to develop liquid crystal stamps that would lighten up and change color with the application of heat. A few trial proofs have made their ways into the market, in two versions. The left version pictured below are single stamps in a clear plastic pocket. The stamps in the souvenir sheet on the right are on solid white "Fasson" brand plastic sheets. The American company that was contracted to produce this issue eventually gave up, and the issue was cancelled. A copy of the new issue announcement from the Bahamas is reproduced below. The 9Nu single with the clear background appears to be the scarcest of the values in the market. Usually, offers for these stamps are for "sets" of only the three lower values. 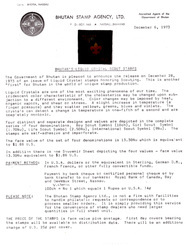 Under the sample stamp affixed at the top center of the announcement, there is an image of the 9Nu motif, but without denomination. Theoretically, that item could be somewhere in the market or someone's collection. 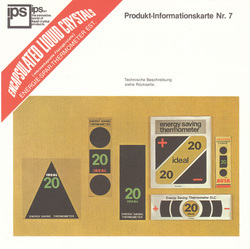 Modern day heat sensitive issues are printed using heat sensitive ink - capsules with crystals enclosed are no longer needed. The fingers cause the image to lighten up, but the cool scanner glass quickly cooled the image, causing it to dim. The liquid crystal in most of the examples of these stamps no longer react to heat. Philatelically inspired covers exist with these stamps affixed. The Bhutanese postal workers generally have little knowledge about all of the stamps that the country has issued in the past. That these show up on mail, are postmarked and delivered without postage due, should not be taken to mean these were ever made valid for postage.